The Friulians have not been able to take advantage of the opportunities they had during the 90 minutes. The challenge of salvation between Pink Bari and Tavagnacco has come to an undefined goal. On a difficult field, the Friulians have managed to bring home an important point, keeping the distance in the standings unchanged from the Apulian, detached 9 lengths. A match where there have been occasions on both fronts, with the Tavagnacco that was preferred in the first half, and with the Bari that has been shown more in the second half. "A substantially correct draw - admits coach gialloblu Marco Rossi -. We had a few opportunities but we were not good at exploiting them. We could do more, but considering the environmental conditions in which we played, I think the draw is a positive result ». On the fight for the conquest of salvation, Rossi adds: "We can be quieter after this draw, as we maintain the distance in the standings with Pink Bari, which is penultimate». 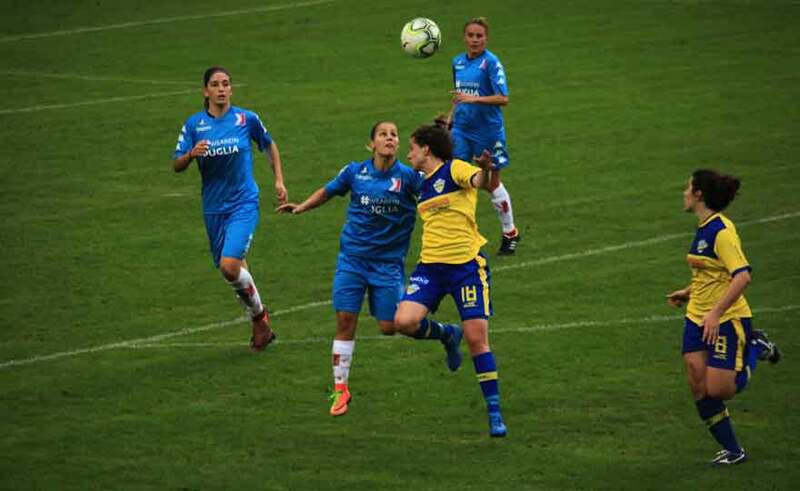 Next Saturday in Tavagnacco comes the Fiorentina of the former Mauro, Clelland, Parisi and Catena: it will be another very difficult challenge for the girls of President Moroso.